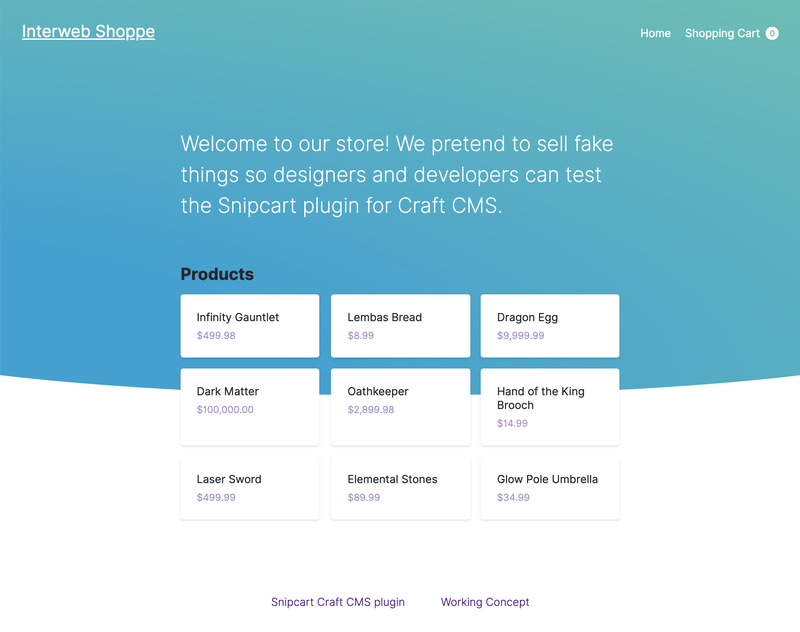 Quickly turn a Craft CMS website into a flexible, fully-functioning store with minimal development time by integrating with Snipcart. Fast store setup even if you're new to Snipcart with an optional Field Type and Twig tags. Powerful customization with developer-friendly Events, Models, and a test project with examples and automated tests. Control panel section for sales stats and browsing orders, customers, subscriptions, and abandoned carts without leaving Craft CMS. Create discounts and issue refunds from the Craft control panel. Live shipping rates and tax calculation at checkout with Snipcart's various shipping and tax providers. Included ShipStation integration for fetching shipping rates and forwarding completed Snipcart orders for processing. Build your site however you'd like and let Snipcart handle orders, subscriptions, payment gateways, shipping, and taxes. Respond to real-time events with webhooks. Complete documentation for getting started or deeper integration with more than ten real time webhook Events. If Commerce Pro is too complex for your project and Commerce Lite is too limiting, Snipcart will be a great fit. $39/year per site for updates after that.